For 38 year-old Lorna Bingham from Markethill, Armagh life was a struggle. For over 3 years, she suffered from a never-ending headache, which was ruining her quality of life. She visited Apex Headache Clinic, desperate to find a cure. 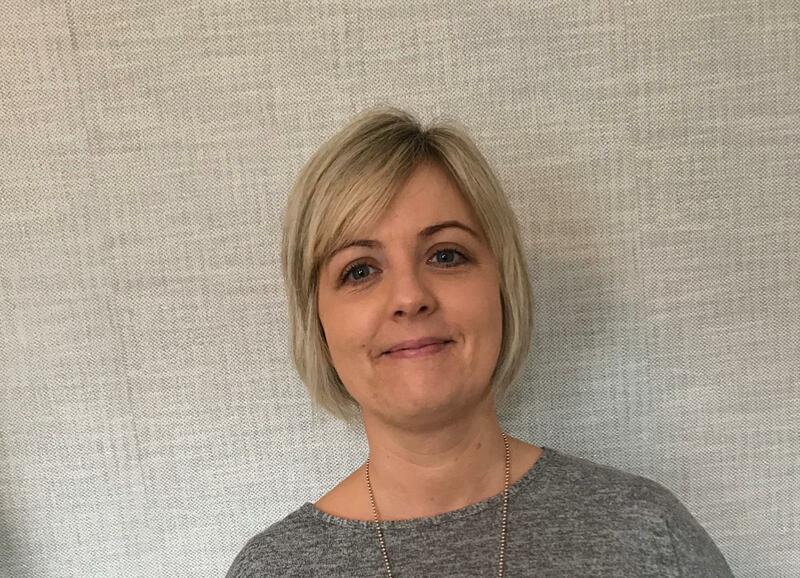 Here, Lorna shares how the clinic’s unique regime of specialist manual headache physiotherapy treatment, called The Nelson Headache Approach™, cleared her headaches, meaning she could finally get her life back on track. Lorna, when did your headaches begin? What led you to Apex Headache Clinic? After visiting my GP, I was referred to an ENT Consultant, who confirmed that I have rhinitis. However, he believed the source of my headaches was stress rather than due to this condition, so I was referred to a neurologist. At my appointment, I actually laughed when the Consultant Neurologist suggested referring me for physio at Apex Headache Clinic. I just couldn’t understand how physio could help with stress headaches. However, after trying everything else and with nothing to lose, I decided to give it a go. At my first appointment with Michelle McDevitt, she diagnosed my headaches as stemming from my neck. I couldn’t believe it! Gradually, over the next couple of months, my headaches began to ease, until I was eventually going days without having one. Currently, I have maybe one or two mild headaches a month, which is nothing compared to living with one all day everyday. It was definitely worth the two and a half hour round-trip to Apex Headache Clinic for each treatment. At one time, I never thought that I would be clear of headaches. It’s really amazing. How has Apex Headache Clinic changed your life? Apex Headache Clinic has without a doubt given me my life back. Everything I was doing previously felt like a drag and now I can go about my day with ease. The difference to my life is indescribable. What advice would you offer someone suffering from headaches? Go to Apex Headache Clinic as soon as possible. The Headache Specialist Physios are fantastic, lovely people, who genuinely care about their patients. I have been telling everyone about Apex Headache Clinic. To book an appointment at Apex Headache Clinic, call 028 9048 4153. No GP referral is necessary.